Enjoy a few pictures from my road trip to Hawk's Nest last week. Most of these pictures are from the main part of the route; the short set of twisties. The whole reason why I wanted to go on the trip in the first place. 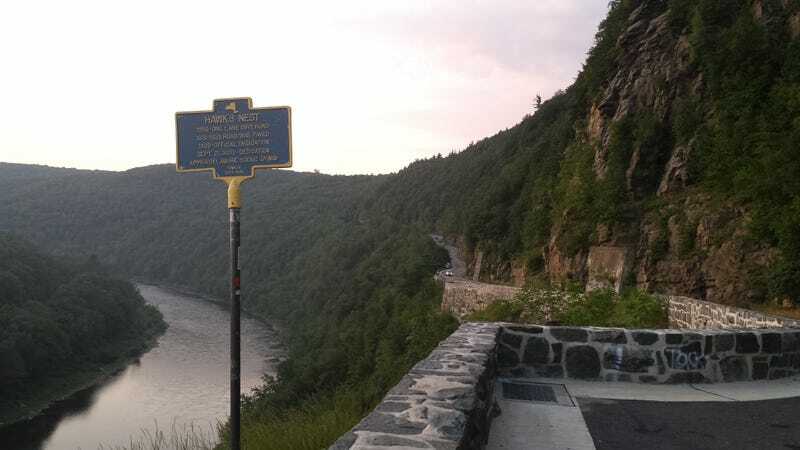 Hawk's Nest is a scenic route on Route 97 near Port Jervis, NY. It runs along the Delaware River right on the border of NY/PA. There's a little stretch of road with a great (but short) set of twisties that'll make any Jalop smile. Not to mention the amazing view that it has. There was a commercial shot there. Most of the route after the set of twisties is a good, relaxing, enjoyable drive with some long corners and huge slopes all the way up to a small town called Narrowsburg. It was a crazy but fun day with my friend's BRZ and my Sentra. We went tubing in Narrowsburg where two of us almost died and got lost two times on our way back in pitch black darkness but that's another story. That ride back was a real scary experience. Why is there no service upstate?